Listen to Yamini read a chapter from Full Circle. Yamini’s journey comes full circle. Malini has everything she could wish for: a loving family, a good home, and years of happy memories with her late husband to look back on. But she’s haunted by a secret that’s she kept for forty years, and can’t bear to keep any longer. Her search for answers takes her back to her home town of Kumbakonam, and brings her face-to-face with a choice that could either lead to her heart’s deepest desire, or rip apart her comfortable life. Yamini’s book is like a breath of fresh air. When all the other romantic authors are talking about young love, she takes us to the other end of the spectrum and weaves a story about love and romance in the latter part of your life. Malini is a grandmother. A gentle, loving woman with a hidden strength and a steely sense of independence. She has lived a full life and now when she is entering her golden years; her grand-daughter takes her back to her first love. The relationships in this book are explored beautifully and it dwells oh so tenderly on a love story that survives time. A thoroughly enjoyable read that deserves four stars. Yamini’s Full Circle took me literally to the streets of Kumbakonam. And I could almost visualize the story just as it happened. Malini is a recently widowed grandmother who comes to Kumbakonam to stay at a retired home facility much against the wishes of her family. Her reasons for opting to stay alone are something she is not able to discuss with her family and is the secret that keeps the story together. This is a very mature story about deep relationship and unfinished dreams that will keep you hooked on until the end. A fantastic ending that is very fulfilling and optimistic. A must-read! 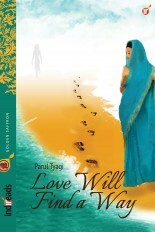 Full Circle is ground breaking as far as South Asian romance is concerned. It is a brave take on something that’s considered shameful and taboo, and hats off to Yamini for not only tackling the subject of mature love so well, but doing it with taste and compassion. A thoroughly enjoyable, heart warming story, where both the protagonists only grow more interesting and closer to the reader’s heart as the story progresses. 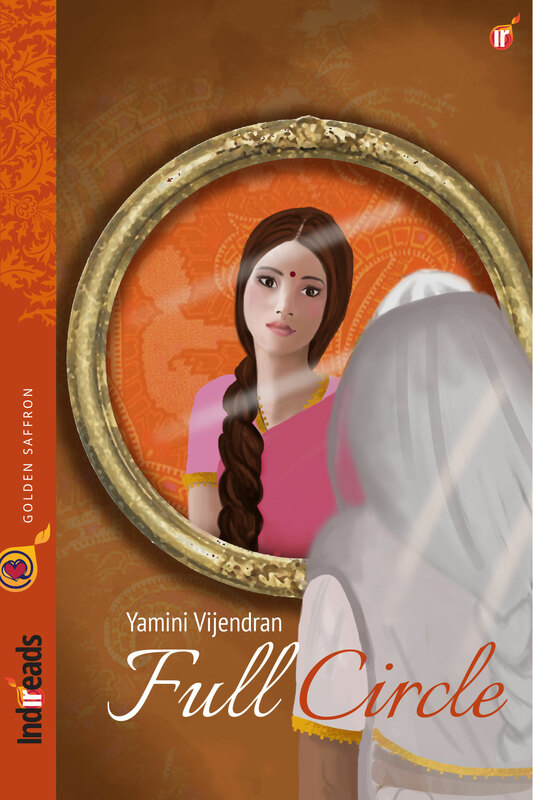 Yamini inter-weaves the Indian culture, music, every day religious rituals into the story beautifully, and with such clarity, that the reader feels more attuned to the Indian way of life. Friendship, sibling rivalry and its bonds, parental pressures, compromises in difficult situations, love of all sorts-Full Circle really brings it all together. Yamini Vijendran’s ‘Full Circle’ is redolent of the smell of jasmine. She effortlessly weaves the sound of temple bells into her narrative, bringing to life the ethos of a small town in South India. Her deft and sympathetic handling of Malini, the grandmother, in search of her own identity and her lost love reminds us that it is never too late to complete the circle. Age cannot and should not be a bar in the search for happiness and fulfillment. ‘Full Circle’ is a sensitive and satisfying read. Widowed Malini lives happily with her son, daughter-in-law and granddaughter. So what makes her go into a retirement home in the town where she spent her childhood, where she found and lost love for the first time in her life? Full Circle is a touching, mature love story, but I had greater expectations from it – I would have personally preferred the story to focus more on the two mature, past-their-prime people discovering love a second time in their lives. Nevertheless, Full Circle is an extremely enjoyable and heart-warming read. Even though we look content and complete to the world, deep inside, most of us harbor unfinished tales….There is always that juncture, we have left behind in our journey, from where life could have taken a completely different turn. But only few have the courage to turn back and seek the answer to ‘What if’. 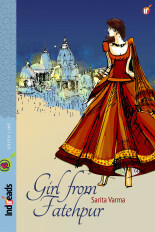 Read on to know if Malini got the answers to her questions and a closure to her unfinished tale. 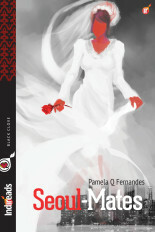 Full Circle is a beautiful tale of finding a love, that one thought lost many decades ago. 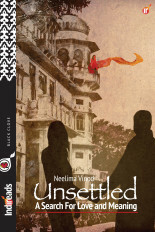 Malini, the protagonist is a widow and a grandmother, a quietly strong woman who has lived her life for her family. Now satisfied that they are all capable of taking care of themselves, Malini decides to return to an old age home in her hometown in search of answers for questions she has carried along with her for all her life. This is where the story begins. Full Circle is reminiscent of ‘Love in the time of cholera’ because of the age of its protagonists and the almost lyrical descriptions. A heartwarming read and a must-read for anyone looking for a story that makes one believe in that irrational but powerful force called love. I read your novel FULL CIRCLE and was thoroughly impressed. I had tears in my eyes as I finished reading your book. Simply beautiful! Looking forward to reading more of your work and wish you all the best!